Seeking added peace of mind for your Audi vehicle? 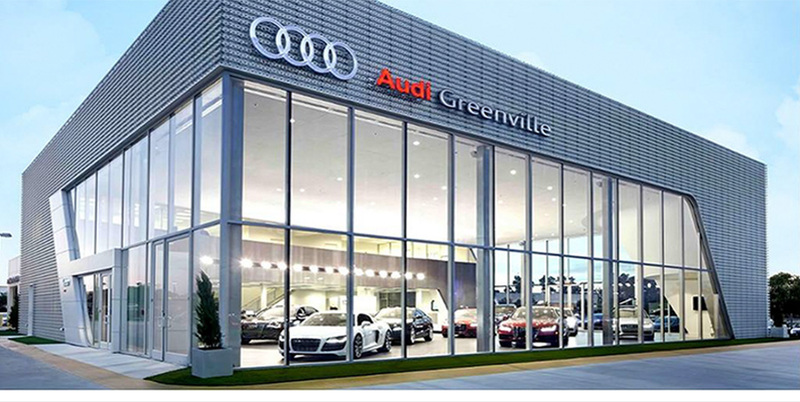 Here at Audi Greenville, we're proud to offer a number of Audi Vehicle Service Contract Plans when you finance your vehicle through Audi Financial Services. This affords you the opportunity to protect nearly every component of your vehicle. Keep reading to see if any of these plans would work for you. Adds to Powertrain Coverage with protections for steering, brakes, air conditioning, front suspension and electrical systems. The ultimate coverage, Platinum covers almost all assemblies of your vehicle, providing you with "Ultimate Peace of Mind" protection. Coverage level availability may depend on the age and mileage of your Audi. Find out more today by talking with your Audi Greenville sales consultant about our wide selection of new and pre-owned Audis and available coverage options. If you have any more questions, feel free to contact us or stop by our dealership at 200 Duvall Drive, Greenville, SC 29607. We look forward to serving our customers in Greenville, SC, and throughout Spartanburg and Anderson. *Certain conditions, restrictions and or limitations may apply.